Although the term blockchain has become increasingly prevalent, many outside of the tech industry are still unfamiliar with the idea. Blockchain makes it possible to distribute digital information in a way that is immutable. As such, it delivers transparency and reliability. 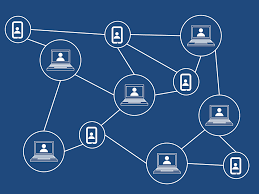 Blockchain began as a way to display the financial transactions related to bitcoin before expanding to other digital currencies. Now, those across all industries use it to record and share information. Manufacturing is just one of many areas poised to be revolutionized due to blockchain technology. The manufacturing supply chain is one of the many areas that can be positively impacted by blockchain. Thanks to the distributed ledger associated with the technology, every step along the supply chain is recorded in a transparent manner. This eliminates the concerns related to the origin of materials, as well as the potential for counterfeits. To go into more detail, each component that goes through the supply chain would receive its own identifying information or "digital passport" that can be used to track its movements. Anyone within the supply chain, from the manufacturer's suppliers to the manufacturers themselves, to customers who purchase manufactured products, can view that information. There would be relevant data for shipments, ports and more. The transparency associated with the blockchain can serve several functions within the manufacturing industry, most notably inspiring confidence. Customers can trust their chosen supplier since they can view where the products come from. Manufacturers have confidence in their own suppliers, thanks to the same reason, knowing the origin of their materials. Additionally, blockchain assists manufacturers with demonstrating compliance, encouraging confidence from all parties involved. There are numerous standards - from safety to sustainability - that manufacturers must meet. Since the blockchain can track manufacturing processes, compliance becomes easy to prove. In the traditional approach, manufacturers are unaware of a component that is about to break until it actually does break. At this point, the production line must pause while repairs are made. When combined with the "internet of things" (IoT), blockchain can use predictive analytics to determine when proactive repairs are necessar y. This prevents breakdowns, saving the money and time associated with the paused manufacturing line. In the case of recalls for faulty products, blockchain can simplify this process as well. Due to the accurate and precise records regarding the supply chain, manufacturers can easily trace the faulty component. This will result in containment of the issue efficiently, saving costs associated with labor as well as time spent finding other faulty products. No discussion of blockchain in manufacturing is complete without highlighting smart contracts. These contracts involve setting up conditions that automatically trigger an action, such as a payment, upon completion. Smart contracts can eliminate the intermediary in a transaction between a manufacturer and their customers or their suppliers. 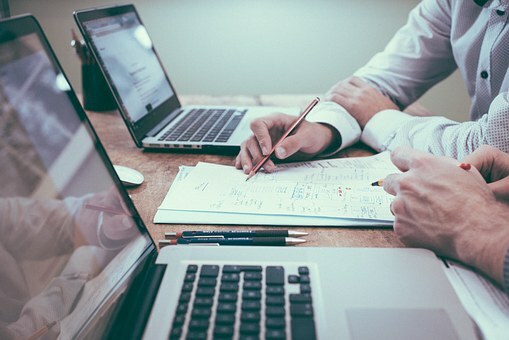 When set up properly, the payment will automatically send upon completion of the conditions, such as tracking the completed product's delivery. Just like blockchain helps organize and streamline transactions, IndustryNet serves a similar function for manufacturers. IndustryNet is a one-stop resource that streamlines procuring services and suppliers, from conducting research to making contact.